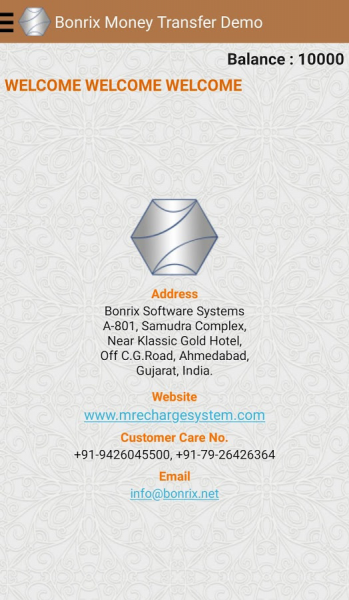 Bonrix Recharge System is Added DMTF (Domestic Money Transfer) Service. For Money Transfer, Transfer money to any bank account, anywhere in India,at any time, Pay Point in association with Banks, brings you the convenience of transferring money from your place to any Bank account across the country. IMPS:- IMPS offer an instant, 24X7, interbank electronic fund transfer service through web portals. IMPS facilitate customers to use mobile instruments as a channel for accessing their bank accounts/ PPI account and put high interbank fund transfers in a secured manner with immediate confirmation features. NEFT:- National Electronic Funds Transfer (NEFT) is a nation-wide payment system facilitating one-to-one funds transfer. Money Transfer, Money Transfet API, DMT API, DMR API, Domestic Money Transfer, IMPS / NEFT, Domestic Money Transfer Service (DMTS), Money Remittance, Domestic Money Remittance (DMR), Domestic Money Remittance API, Domestic Remittance API, money transfer api provider india, Send Money, Money Transfer Android App, Money Remittance API. Our Aim is to understand Client idea and plan out a strategy that best addresses As per the Client Requirement and giving best suitable solutions and great satisfaction as per client expectation.